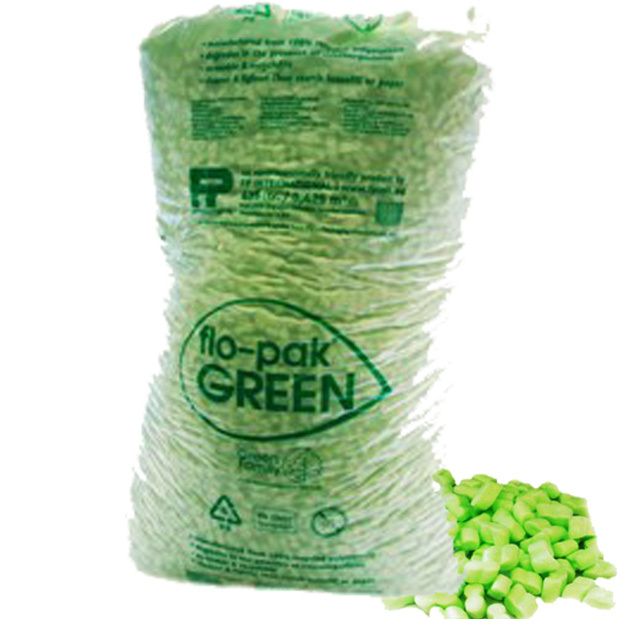 Loose fill packaging is very light, recyclable and bio-degradable solution for protecting your items in transit. Made from polystyrene chips, these settle within the gaps in the carton and around the product, offering protection from drops and knocks. The Ecoflo loose fill is a good environmentally friendly & biodegradable solution, in a shape of wotsit crisp, whereas Flopak loose fill is shaped in the form of the number 8 and provides extra memory for long/abrupt transit.